As forecasted, the snow overnight came in bands with some areas getting two inches or more and others getting very little, if any. 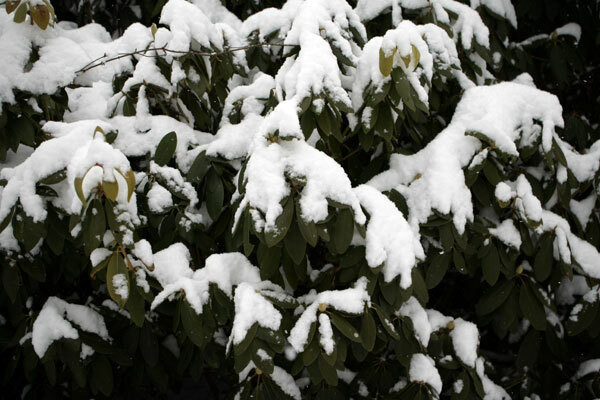 But the overnight snow brought school cancellations in Floyd County and most other areas of Southwestern Virginia along with sub-freezing temperatures over the next three days will not help the hundreds of county residents struggling to thaw out frozen water pipes. Temperatures dipped into single digits in some sections of the county Thursday night and today’s high is not expected to rise above the low 20s with an overnight low of 12. Gradual warming will come over the weekend with the highs expected to climb above freezing on Monday and into the 40s by midweek. Still, it may take more than a week of warmer temperatures to thaw out pipes frozen by three weeks of frigid temperatures.